The battle is on. Your plants are starting to come up and the deer love it! When it comes down to it, is anything really deer proof? Just like kids, deer will eat what they dislike last. When deer are hungry they’ll eat just about anything. However, planting deer resistant materials and combining this with a regular application of some form of liquid fence, can help protect your garden from destruction. To protect your existing plants, you’ll want to use something that deters the deer without harming your plants. Our horticulture specialist, Meg Shomper, recommends garlic. Garlic is a popular deer repellent which some home gardeners spray liberally about their yards. One home recipe calls for combining two ounces of chopped garlic, two ounces of red pepper sauce, and four raw eggs in a blender and adding enough water to make a quart. Store bought options include Liquid Fence which is basically putrescent eggs (the stink deters the deer) and Blood Meal from Epsoma. They seem to do the best. You want to be careful with the Blood Meal because it is an organic fertilizer (high in nitrogen) and too much can burn your plants. The best advice is to rotate any products you use. Pepper spray works too, but is less effective. 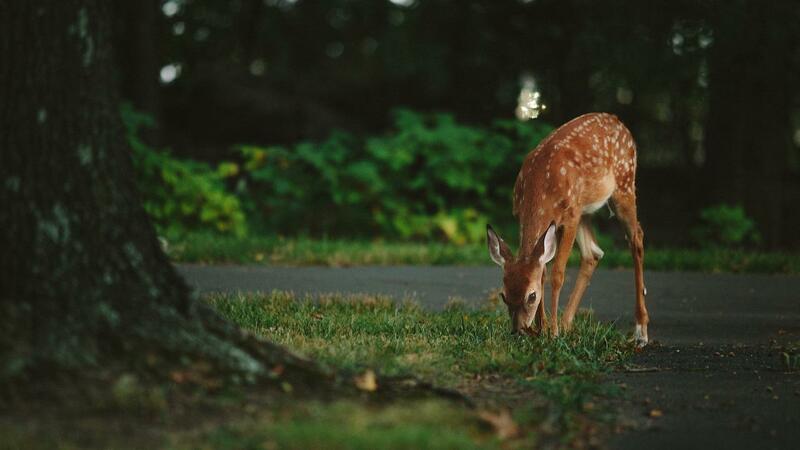 Want To Add Deer-Resistant Plants? • Poppy – A mix of yellow, white, red and crimsons add color along walkways. • Snapdragon – Beautiful long clusters of flowers against lush green foliage. • Marigolds – In a variety of bold colors; ideal for pots. • Angels Trumpet – Fragrant white flowers that seem to glow as darkness falls. • Hyssop – Aromatic foliage ranging from apricot and deep reds, to purples and pinks. • Sage – Shimmery blooms in a variety of colors showing from spring until frost. • Lavender – Fragrant purple blooms with compact evergreen foliage. • Iris – Large fragrant flowers add a bold yet delicate element to planting beds. • Crimson Pygmy Barberry – Deep crimson colored foliage all season. • Common Boxwood – Green foliage year round. • Japanese Pieris – Shiny green leaves with white, purple or pink blooms. • Northern Bayberry – Fragrant, dense foliage with white fruits. ← Why Work at Nave Newell?